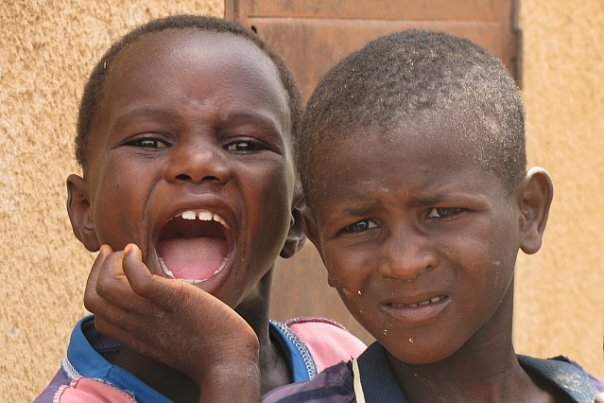 From my journal of the mission trip with Jesus Film Ministries to Niger, Africa in 2009. Today was a FABULOUS day! We had cinnamon rolls and banana bread for breakfast and then headed out for our boat rides. The rain really cooled things off last night after a huge thunderstorm, so it was the perfect morning. Bruce haggled us a good price for the boat ride, and then we were off! In my boat was me, Kathy, Sheri, Zac and Jonathan. The water was pretty muddy and was only a few feet deep. The boats looked really old and were falling apart, but we trusted our guides. We went really far in hopes of finding some hippos. I was kind of nervous. Hippopotamuses?! They are HUGE and are NOT nice. And the guides said that they are as fast as horses when on land. 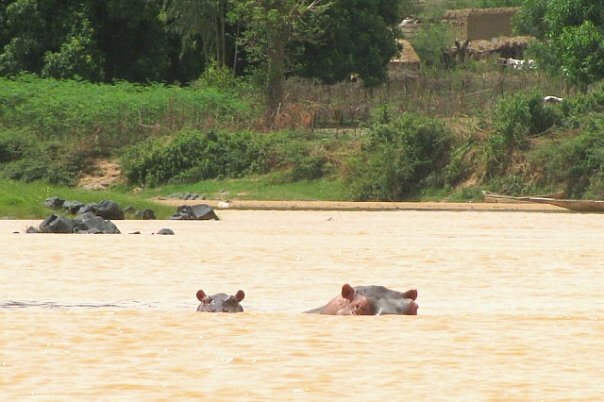 Well, we did find some hippos! All we really got to see were their heads but it was still very cool. We walked around on a beach on an island, and we watched the hippos from there and took lots of pictures. We got back in our little boats and our next stop was this tiny little village on an island. We walked around the village. We met some of the people and took pictures of the kids. 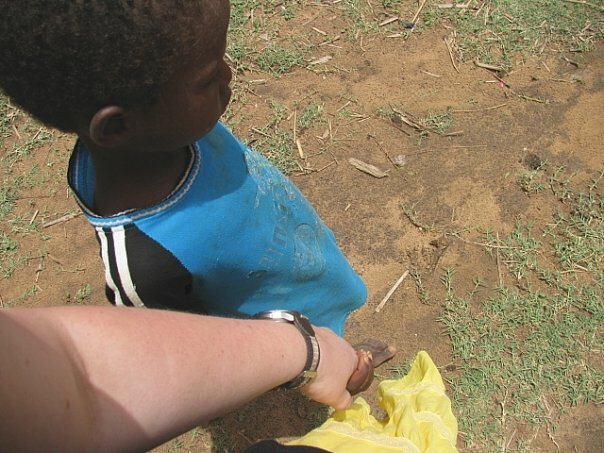 One little boy just walked up to me and grabbed my hand! He was so cute! All of the little village kids sent us off when we floated away. There were about 20 of them waving and yelling as we left. 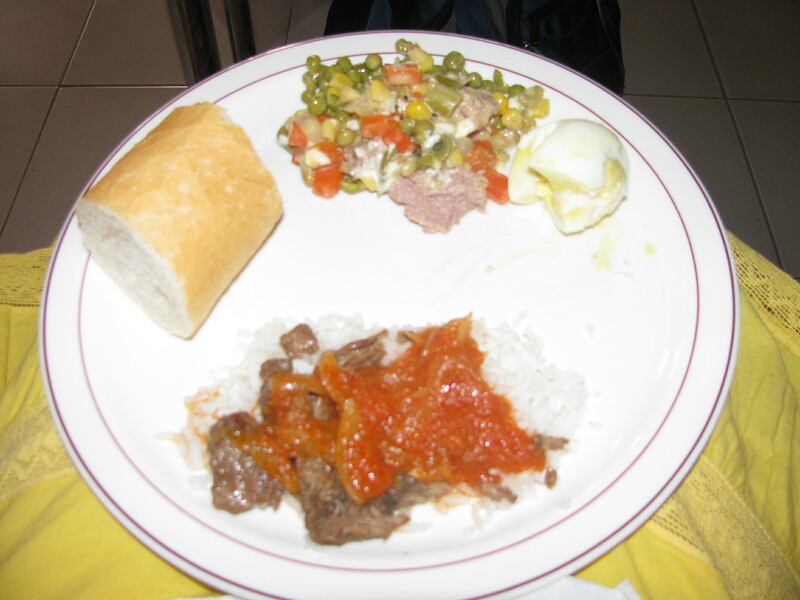 For lunch we went to Angel and Venonce’s home (they run the university Campus Crusade as national directors in Niger). It was a pretty big deal for them to do that. I guess they didn’t do that with last year’s team! The meal was INCREDIBLE! It was some really weird stuff, but it was also really good. There were a lot of vegetables, some sort of meat (no one dared ask what), and of course all the Fanta we could drink. Their home was pretty nice. It was gated- like every “real” house here is. They even had a servant! We talked a bit about the political issues in Niger. It is scary to think Niger could get a new president who will declare it a Muslim country and outlaw any other religions. I don’t even want to think about it. Our Jesus Film showing was OK. Not many people came but a few accepted Christ! I must remember to pray for this one young man who accepted Christ. He spoke some English, so we talked a little. I was really excited that some of the kids remembered my name! How cute! Things got creepy when a sand storm started moving in. So when the film finished, we packed up quickly. Even though we did have some scary Muslims chase kids away, at least we didn’t have it as bad as the group that got rocks thrown at them. Crazy! No one got hurt, but that had to be scary.